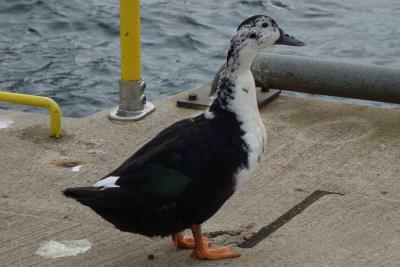 This is a duck we saw in Orkney, near the dock in Stromness on 11/05/17. We have tried to identify it but without any success. 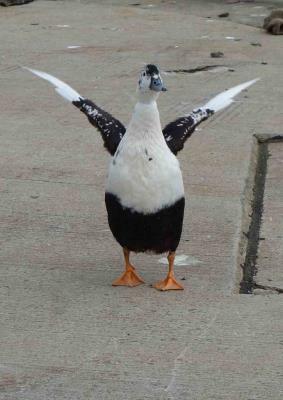 It looks a bit like a Comb duck but has orange legs and differences to the colouring. I've got some good photos - see below. I'd be glad of your help. 160 Take a look at Magpie Ducks.